NYC-based DJ and producer Gryffin is coming to Santa Barbara’s Arlington Theatre at 6:30 p.m. on Thursday, April 19. With a style that blends house and indie dance beats, Gryffin, whose real name is Dan Griffith, has more than 5 million monthly Spotify listeners. He has made waves with his remixes of Tove Lo’s “Talking Body,” Maroon 5’s “Animals,” Years & Years’ “Desire,” and many more over the past few years. After graduating with an electrical engineering degree from the University of Southern California, Gryffin threw himself in music production. Eventually, he returned to Los Angeles. In 2016, he released his debut single, “Heading Home,” which featured Aussie singer Josef Salvat. The Bipolar Sunshine-assisted “Whole Heart” dropped later that August, with Gryffin also opening for tropical-house-artist Kygo’s Cloud 9 tour. In 2017, Gryffin released “Feel Good,” where he worked with West Coast DJ/producer Illenium and Pittsburgh-based artist Daya. “It will be released as a six-track bundle, which I am really excited about because these two new songs I have been teasing for quite a while now… I have had a lot of people ask me about them and I finally feel good enough to release them, which is exciting,” Gryffin said in an interview for Magnetic Magazine towards the end of 2017. He opened up about his very first remixes for John Newman, Rome, and Lloyd as well as the upcoming release of his first ever EP (coming out sometime this year). This January, Gryffin released a music video for his song “Nobody Compares to You,” featuring Katie Pearlman, that has garnered over 1 million views so far. Besides playing at the Arlington, Gryffin is scheduled to play at Bonnaroo, Electric Forest Festival, EDC Japan, and Outside Lands throughout the rest of 2018. Gryffin’s invigorating yet mystical energy in his music combines his classical pianist training and natural stage presence – which could possibly create a musical night that UCSB students (and other SB inhabitants) are sure to find intriguing, well-tooled, and full of catchy tunes. 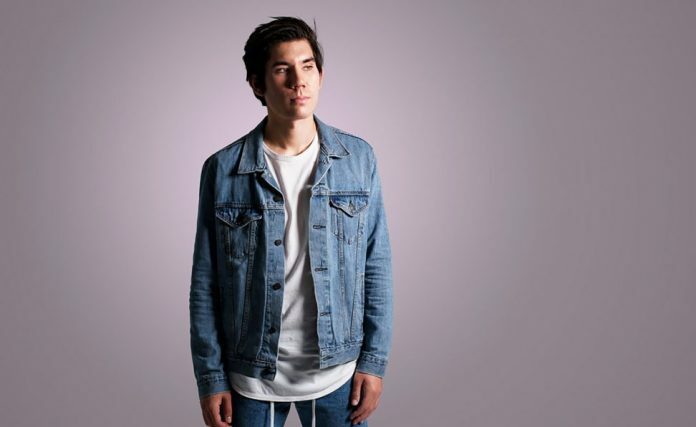 Check him out on Apple Music, Spotify, and SoundCloud to get acquainted with Gryffin before his show on April 19, and find more event information here.